The BBC Scottish Symphony Orchestra, Finnish folk musicians, soloists and chief conductor Thomas Dausgaard play Sibelius and the folk music that inspired him. 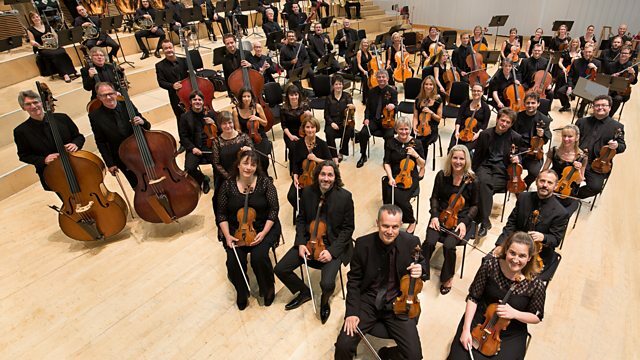 To end their season, the BBC Scottish Symphony Orchestra enter into Sibelius's world by inviting a quartet of Finnish folk musicians to Glasgow. Playing with the BBC SSO in a specially arranged piece of music, the Finnish folk musicians explore the themes that Sibelius would have heard, and has incorporated into, his Choral Symphony, Kullervo. Kullervo is one of his finest masterpieces in which Sibelius uses one of Finland's most ancient of poems, the Kalevala. It is a story of the tragedy of a young hero and a love more terrible than war. One of Scandinavia's finest choirs and two outstanding singers join the BBC SSO in the City Halls in Glasgow for this live broadcast conducted by their Chief Conductor Thomas Dausgaard. Music Arranger: Thomas Dausgaard. Music Arranger: Timo Alakotila. Orchestra: BBC Scottish Symphony Orchestra. Conductor: Thomas Dausgaard. Orchestra: Musicians from the Orchestra of the Royal Ballet. Conductor: Philip Gammon. Performer: Ronald Brautigam. Orchestra: Royal Concertgebouw.